"It will go faster if Brian and I help," offers Steven. "I got it myself, but can assist if you want to!" says Barbie. 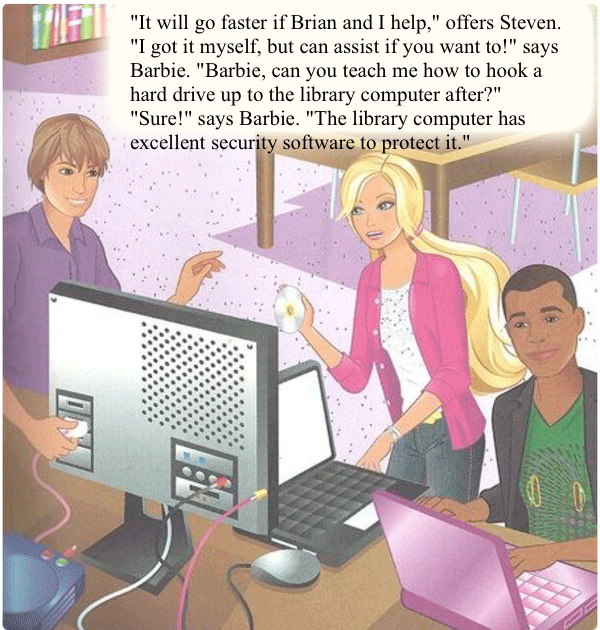 "Barbie, can you teach me how to hook a hard drive up to the library computer after?" "Sure!" says Barbie. "The library computer has excellent security software to protect it."